This French documentary about the Austrian filmmaker Michael Haneke convincingly argues Haneke is one of the most important and idiosyncratic filmmakers working today. Writer-director Yves Montmayeur’s doc also makes the more interesting point that through his quarter century body of work, from his early shockers Benny’s Video and Funny Games through his disturbing dramas The Piano Teacher and Caché to his increasingly austere recent films The White Ribbon and Amour, Haneke has become a master craftsman who is as feared as he is revered. Jean-Louis Trintignant, the octogenarian French star who appears in Amour and who is one of several actors who has worked with Haneke who talk about their experiences in Montmayeur’s film, recalls that on set everyone was terrified of the director. Isabelle Huppert, who has appeared in enough of Haneke’s films to be considered something like a muse to him, makes a similar observation. That view of the artist is born out during the lengthy interviews with Haneke himself, who comes across as sombre, serious, occasionally self-doubting, sometimes truculent and ultimately opaque. And the numerous clips of from Haneke’s oeuvre, the majority of which focus on key moments of disquiet, unpleasantness and outright horror, are enough to strike fear into the heart of the toughest cinephile. Unfortunately, Haneke’s evident unwillingness to give up much about himself, and Montmayeur’s apparent willingness to work with that attitude, rather limits this portrait of an artist. Early on, Haneke says something to the effect that he takes his audience seriously, which is why he is able to make challenging films. Beyond that nugget of wisdom we don’t learn much more about what motivates Haneke, although we learn a lot, through the man and his collaborators, about how he operates when working. 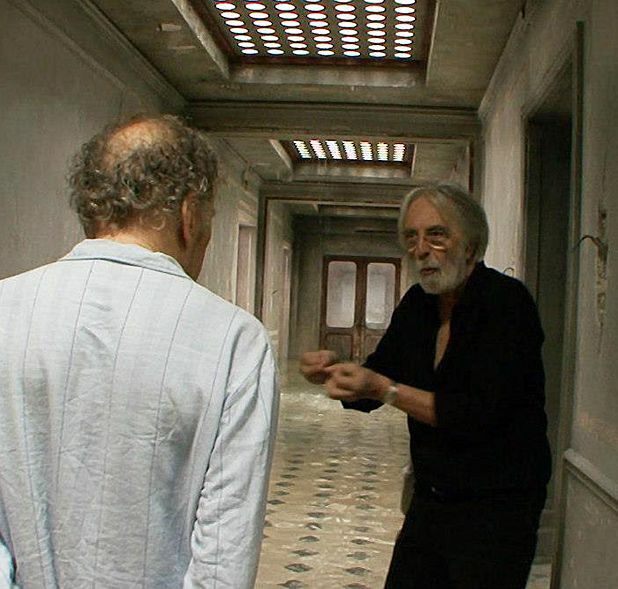 Oddly enough, it turns out Haneke’s a bit of a clown on set, animated and joking around (though, as Trintignant says, no one else follows suit). It would be nice to see Haneke’s humorous side on screen... directing Aniston in a rom-com perhaps? Limited release from Fri 15 Mar. French documentary about Austrian filmmaker Michael Haneke, portraying him as a master craftsman feared and revered by his actors. Unfortunately Haneke himself is less than revealing in interviews and Montmayeur less than probing, so in the end we don’t learn much about what motivates him.